Looking for a playful way to practice counting? 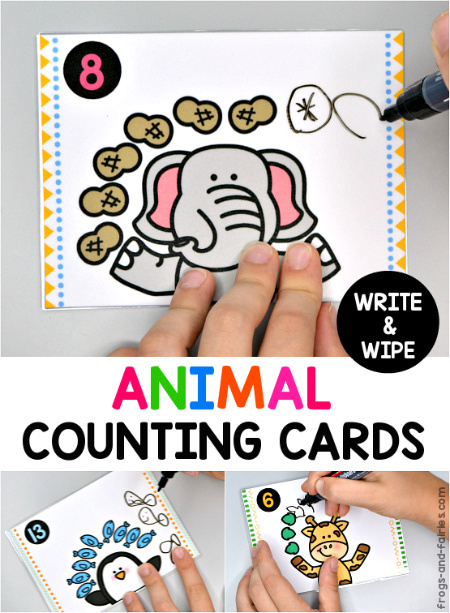 These write & wipe counting cards will help your kids practice counting on from a given number as well as addition up to 20. 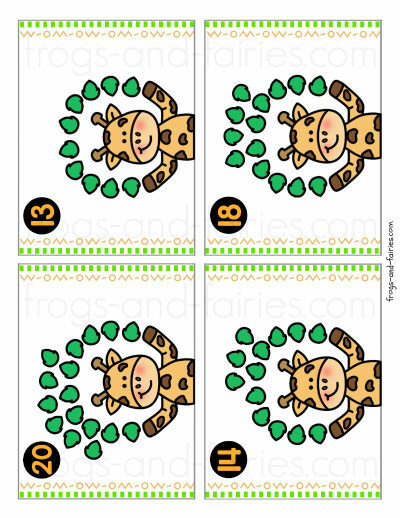 This printable PDF includes 12 pages of 48 animal counting cards. 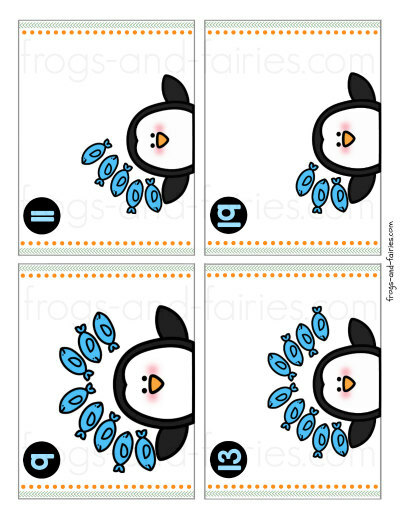 This is a simple and fun learning activity for kids to practice counting from 1 to 20! You kids will read the number written at the top and draw the amount of missing fish, leaves, peanuts or bananas to match with the number. To prepare, just print, cut along the lines to separate the cards and laminate! Print on cardstock for extra durability. If you don’t have access to a laminator, you can put the cards in plastic sleeves instead. Kids will use dry erase markers to draw the additional items (fine point dry erase markers will work best). 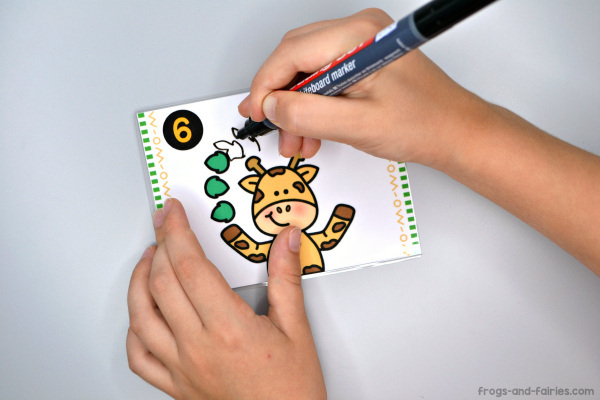 Then use a tissue or eraser to wipe off and the cards can be used again! 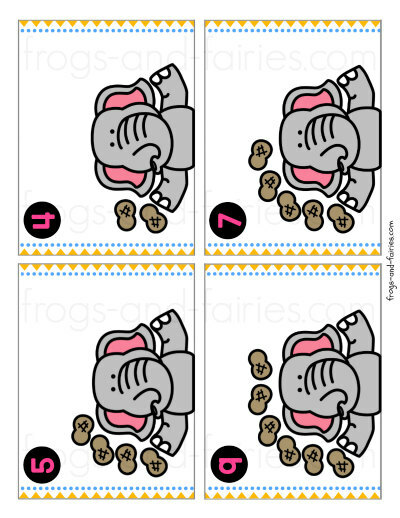 TO PREP: Simply print, cut along the lines to separate the cards and laminate! Print on cardstock for extra durability. 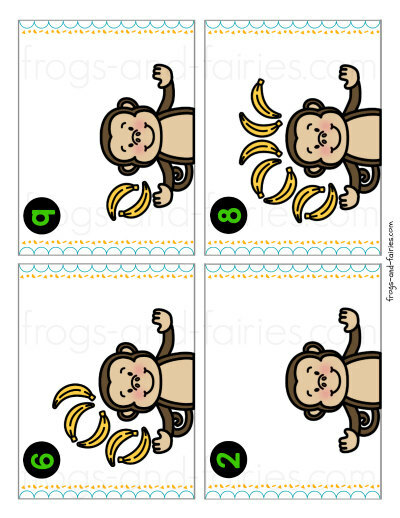 TO PLAY: Your kids will use dry erase markers to draw the additional leaves, fish, peanuts or bananas! Use a tissue or eraser to wipe off.